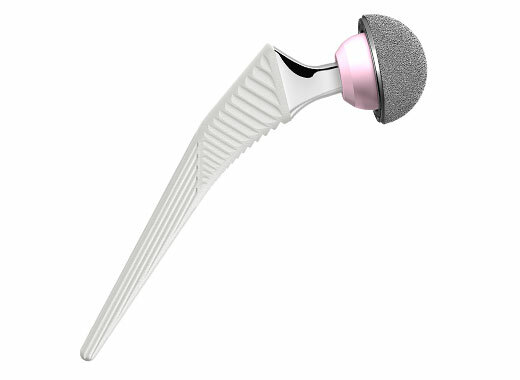 Boasting clinically proven design features, a bone-conserving surgical technique and over 20 years of clinical heritage, CORAIL Stem has the most extensive experience of any hydroxyapatite (HA) coated femoral stem. 1. Vidalain JP. CORAIL Stem Long-Term Results based on the 15-Years ARTRO Group Experience. Fifteen Years of Clinical Experience with Hydroxyapatite Coatings in Joint Arthroplasty, Ed. Springer, 217-224; 2004. 2. Rokkum M, Brandt M, Bye K, Hetland KR, Waage S, Reigstad A. Polyethylene wear, osteolysis and acetabular loosening with an HA coated hip prosthesis. A follow-up of 94 consecutive arthroplasties. J Bone Joint Surg Br. 1999;81(4):582-9. 3. Hallan, G, Lie SA, Furnes O, Engesaeter LB, Vollset SE, Havelin LI. Medium - and long-term performance of 11,516 uncemented primary femoral stems from the Norwegian arthroplasty register. The Journal of Bone and Joint Surgery. 2007:89-B:1574-80.